Is your New Jersey business thinking about a professional shredding service? While considering the shredding solutions available to you, remember that there are two very distinct methods of paper shredding offered by a professional product destruction company; mobile onsite shredding, and offsite plant-based shredding. At IntelliShred in New Jersey customers can benefit from the convenience of our efficient mobile paper shredding service for the destruction of sensitive documents. Our mobile document shredding trucks will arrive on-site to your business where a representative from IntelliShred will proceed to shred your confidential material right before your eyes. Simply contact our office to arrange a suitable one-time pick-up service. Another service option our customers may choose to take advantage of is ongoing, regularly scheduled paper shredding services. Leave the rest to our qualified team! It’s Easy: Why move endless piles of papers to an off-site location when you can have your sensitive papers shred right on your premises without having to go anywhere! That means little interruption in your workday, and no inconvenient trips. Lockable Shred Bins: At IntelliShred we will provide you with secure, lockable bins to for storing all confidential material in prior to destruction. Place these throughout your office in high-traffic areas, as required. 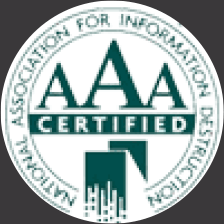 Certificate of Destruction: Following each shred appointment, IntelliShred will present you with certified documentation that indicates your documents have been destroyed securely, and in accordance with state privacy laws. Irrecoverable: Our state-of-the-art mobile shred trucks are designed with the security and quality necessary to ensure your confidential material is irrecoverable. All shred equipment consists of industry leading components, which allow us to shred in seconds what make take hours with an office shredder. Cost–Effective: When you allow IntelliShred to provide you with reliable shredding services, you receive the best possible service and value for your money. We’ll work with you to customize a paper shredding program that speaks to your budget and unique needs. Witness the Destruction Process: We invite staff members to witness the destruction process from start to finish directly from your parking lot. Viewing the shredding process helps to provide additional peace of mind that your information has in fact been thoroughly destroyed. 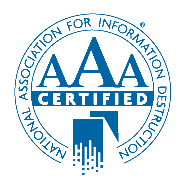 IntelliShred offers a matchless document destruction service throughout New Jersey that ultimately help to protect your brand, company, and customers. Maintaining your security is our number one priority!